Pacific rhododendron (Rhododendron macrophyllum) is a broadleaf evergreen shrub with grayish-brown bark. The thick leathery leaves are dark green and whorled at the tip of branches. The bell shaped flowers are light to rose pink and 2 to 4 centimeters long. 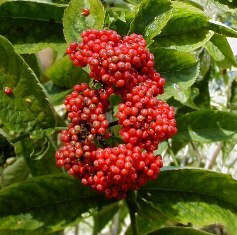 They are found in large loose clusters at the end of the branches. Common cowparsnip (Heracleum maximum) is a perennial, herbaceous plant that grows 3 to 10 feet tall. The large braod leaves are lobed, and it has thick, hairy stems. The small white flowers either have both male and female parts or have only male parts. Flowers are grouped into small clusters that are grouped into larger showier, flat-topped clusters. Baccharis pilularis is a shrub in the Aster family that can be up to three meters tall. The leaves are toothed, oval, and sticky. Coyotebrush is dioecious, meaning each plant has flowers with either all male parts or all female parts. 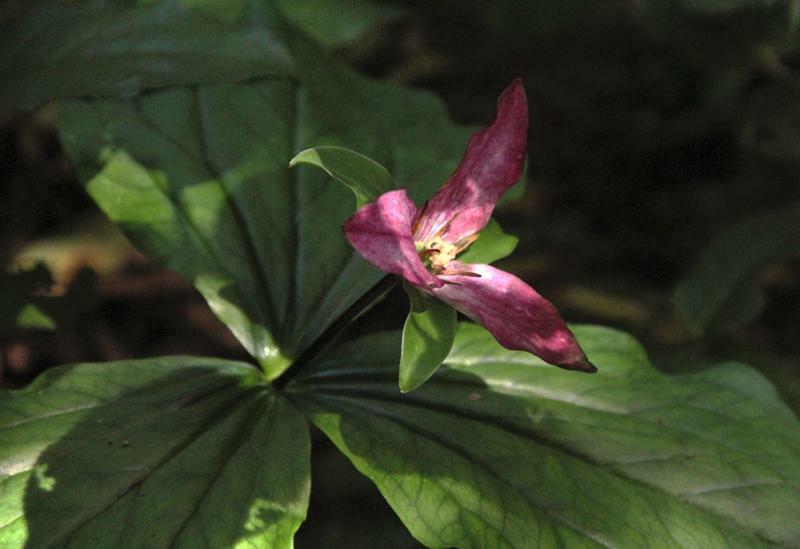 Pacific Trillium (Trillium ovatum) is an erect, perennial, herbaceous plant that grows between 4 and 18 inches tall. The dark green leaves appear in whorled triads above a bare stem. The showy, white flowers change to pink or maroon with age. Flowers are bisexual (i.e. have male and female parts) and occur as single flowers with three petals, above the leaves. This species is a deciduous perennial shrub or small tree which can reach a height of 3-7 meters. Its green leaves have serrated edges and a strong, distinctive odor. The bark is dark reddish-brown with raised pores. The fragrant creamy-white flowers are arranged into dome-shaped clusters. Silky Beach Pea (Lathyrus littoralis) is a perennial herb with silky grey wooly leaves. It is a member of the legume family (Fabaceae). The leaves are subdivided into 4 to 8 small overlapping leaflets with small tough tendrils. The purple-pink and white flowers have prominent delicate venation. Flowers are displayed in tight clusters of 4 to 8; each flower is 15 to18 millimeters wide.